WowWee's Cinemin pico projectors fit any situation you'd be pico projecting in. The Swivel is a candybar that angles 90 degrees; the Stick's tinier and takes SD cards, and the Station's an iPod dock station. They're also legitimately attractive pieces of hardware, rare for kit that's supposed to be "affordable." And, wait, WowWee makes stuff besides robots now? Taking projection out of boardrooms and movie theaters and into the palm of your hand is WowWee's Cinemin™ suite of ultra-portable multimedia micro projectors, powered by Texas Instruments' DLP Technology for ultra clear picture quality. Utilizing the same technology commonly found in high-definition TVs, classroom projectors and large-scale cinema houses, the Cinemin projectors have been designed to work with popular mobile devices, such as Apple's iPod and iPhone. With WowWee's Cinemin™ suite of projectors, a café becomes a boardroom, a camping tent becomes a theater, and Grandma's curtains become a life-size digital picture frame. The line features three products: The Cinemin Swivel™ pico projector, an affordable lightweight micro projector that is roughly the size of a candy bar and features an impressive 3-hour battery life for movie watching, full volume control, and a unique adjustable 90-degree hinge for ceiling projection. The Cinemin Stick™ pico projector is a compact micro projector with internal memory and an expandable SD card memory slot that puts your favorite web videos, digicam snapshots, ambient animations, and more on display. 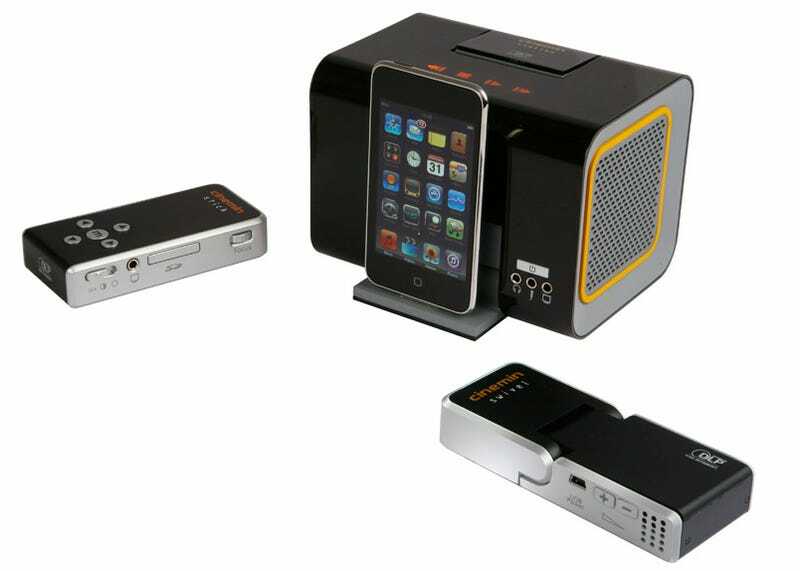 The Cinemin Station™ pico projector is an alarm clock-sized convenient media center and iPod docking station for big pictures with big audio. WowWee's 2009 product line is being shown for the first time at the Consumer Electronics Show in the Kids@Play TechZone, Booth #72205, Sands Expo & Convention Center.